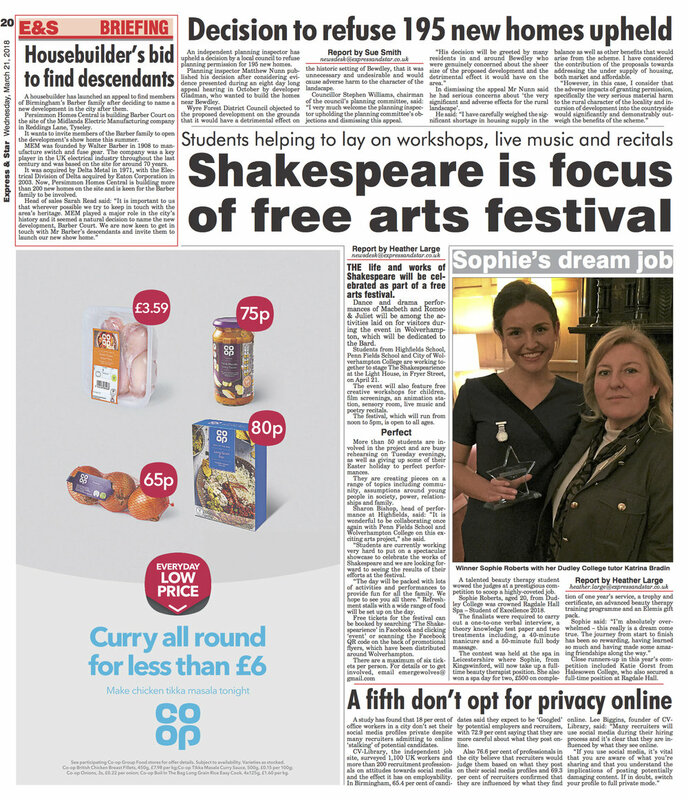 The life and works of Shakespeare will be celebrated as part of a free action-packed arts festival for all the family. Students from Highfields, Penn Fields and Wolverhampton College are working together to stage ‘The Shakespearience’ at the Light House, in Fryer Street, on April 21st. It will feature free creative workshops for kids, film screenings, an animation station, sensory room, live music and poetry recitals, as well as dance and drama performances of Macbeth and Romeo & Juliet to celebrate the Bard’s life and works. Posted on March 17, 2018 by Vicky Nash.